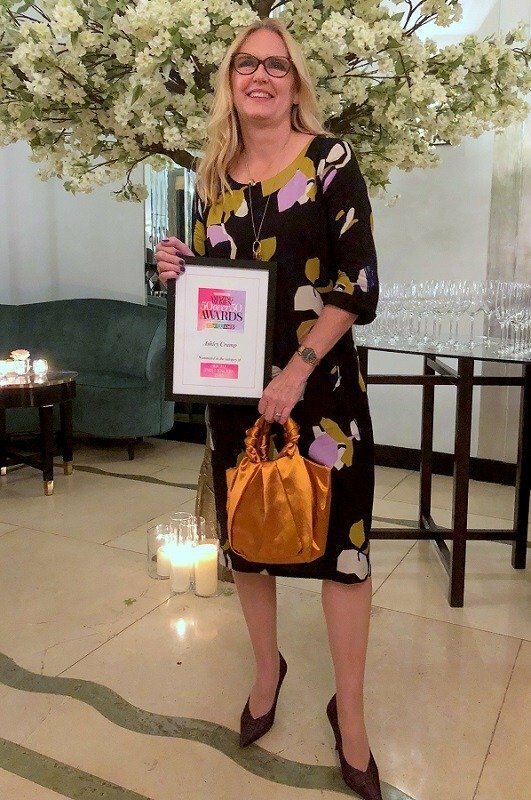 In May of this year I was astonished, proud and delighted to be informed that I had been chosen by Woman and Home magazine as one of their 50 over 50 amazing women in the social influencer category. 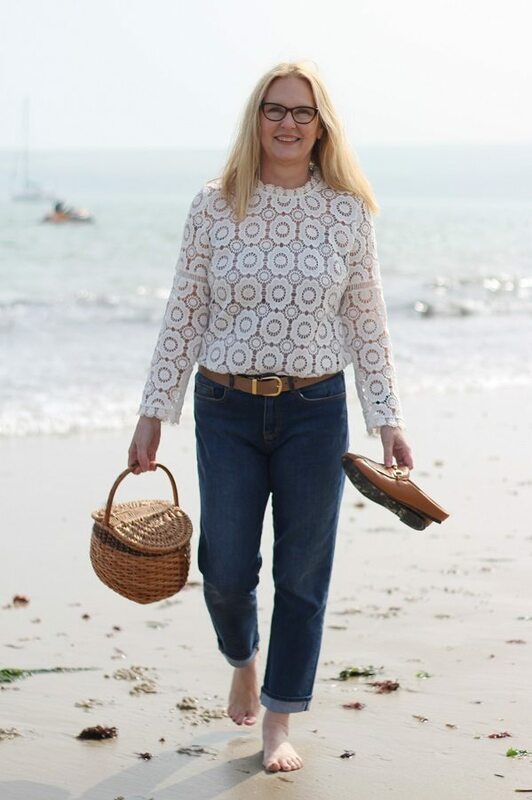 Not just as a social influencer I may add, but as a woman over 50 (I am 55) adding her voice to the conversation and shouting about midlife and how fabulous it can be! I wrote a post about how much it meant to me and how touched I was at the messages I received from you congratulating me. There were 10? 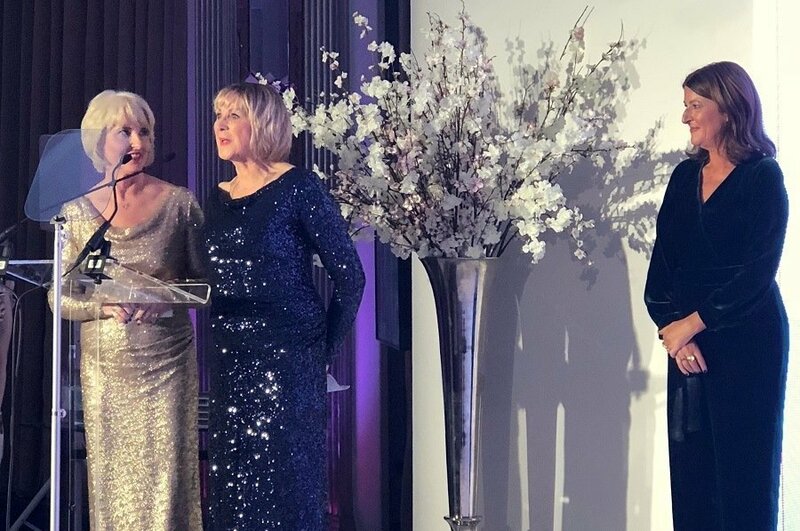 categories and during the summer months a winner was picked for each category, culminating in a glamorous awards night held at Claridge’s hotel. Last week, as you may have seen from my Instagram stories, I spent a wonderful evening in the company of some of the most amazing, strong and inspirational women I have ever met! We filmed some video at the studio which was lots of fun, there were gold confetti cannons included! Hopefully I can share the results soon, but then again hmmm me dancing to music in stilettos is probably not the prettiest of sights! After filming we were picked up and dropped off at our Hotel for the night. Durant’s Hotel in George St W1. 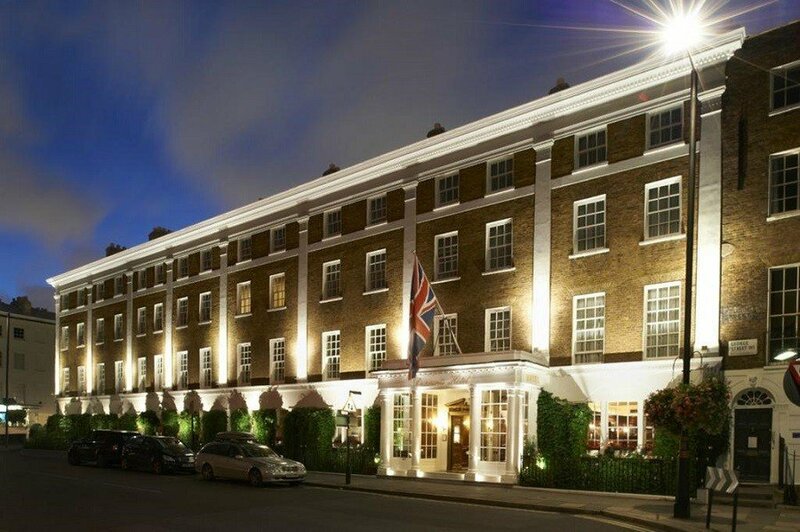 a luxury, classic old English Hotel. We were greeted by a log fire in the lobby and Marc and I were upgraded to a suite. It was huge, and it even had its own log fire in the lounge. I met up with Marc in the bar then we all retired to our rooms for a rest a cuppa and to get ready for the evening festivities at Claridge’s Hotel. Claridges Hotel and the Awards Ceremony. A short taxi ride took us to Claridges and what a site to behold talk about lights, camera and action! This is a rare sighting on the blog…a pic of marc and I together! 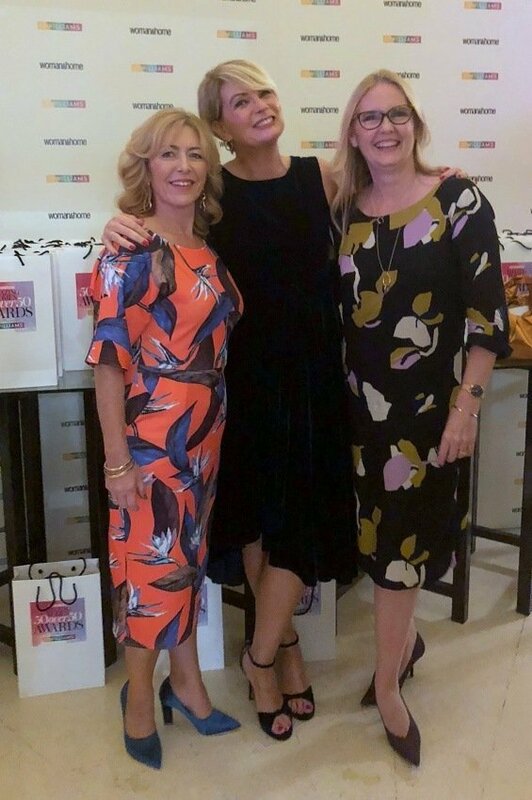 It was a pleasure to catch up with online friends old and new: Here I am with Laurie and Nikki from MidlifeChic, we had a whale of a time on the dance floor later! Everyone who was nominated was given a framed certificate on arrival, then after drinks and canapés we settled down to watch the winners receive their awards and give a speech. A special mention and many congratulations must go to Country Wives for winning the influencer category! 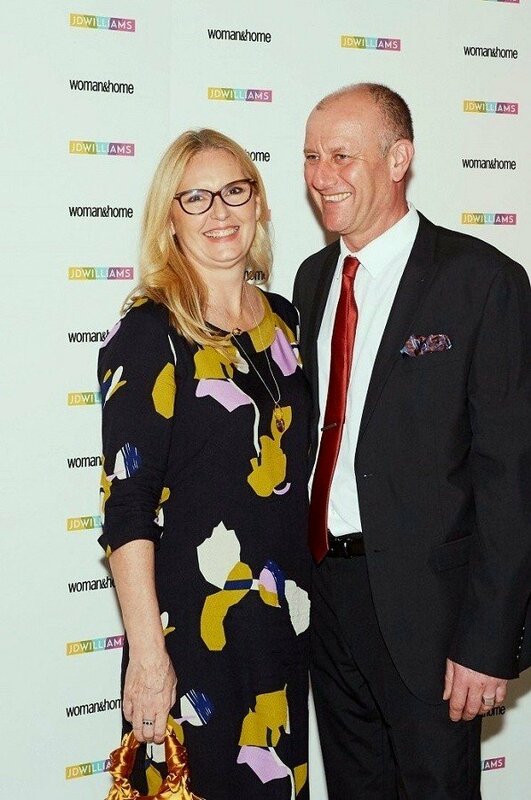 Jo Whiley hosted the evening along with Kath Brown the editor of Woman and Home magazine. I cried, I laughed, I applauded oh my goodness those women and their stories, I felt humbled and inspired by them all. When all the awards were handed out we retired to dance the night away. I may have had a few champagnes and I may have taken my shoes off and danced around my handbag in memory of my very distant disco and clubbing days! Marc has a crush on Jo Whiley and managed to get a photo with her! When all was said and done it was the women over 50 that this night was all about. The women who in some way have changed our world for the better. They were the stars of the evening and my oh my how brightly they shone above us all. The women who in some way have changed our world for the better. They were the stars of the evening and my oh my how brightly they shone above us all. Lesley Knight won the Community Heroes Award, voted for by readers. Lesley tragically lost her 11 year old son in a traffic accident 10 years ago. He was flown to hospital in an air ambulance but the hospital did not have a helipad and they had to land on the street. Lesley turned her grief into fundraising for the Help appeal and has since raised more than £686,000 thanks to her more hospitals have helipads and she has helped to save many many lives. After she lost 2 friends to breast cancer, Veronica set up Ladies fighting Breast Cancer in 2000. She has since raised over 1 million for equipment including two mammogram units. Mandy Mauden: Comedy magician and Britain’s got Talent semi finalist. Mandy was the first ever woman to host the famous magic circle and was also awarded member of the inner magic circle (which was all male until 1991) She also reached the semi finals of britains got talents earlier this year. From left to right: Mandy veronica and Lesley. I also met and chatted to another amazing woman: Dr Erinma Bell MBE who was nominated for the community hero award. Erinma is a peace activist in Manchester and has managed to reduce gun crime in her area by 92%! 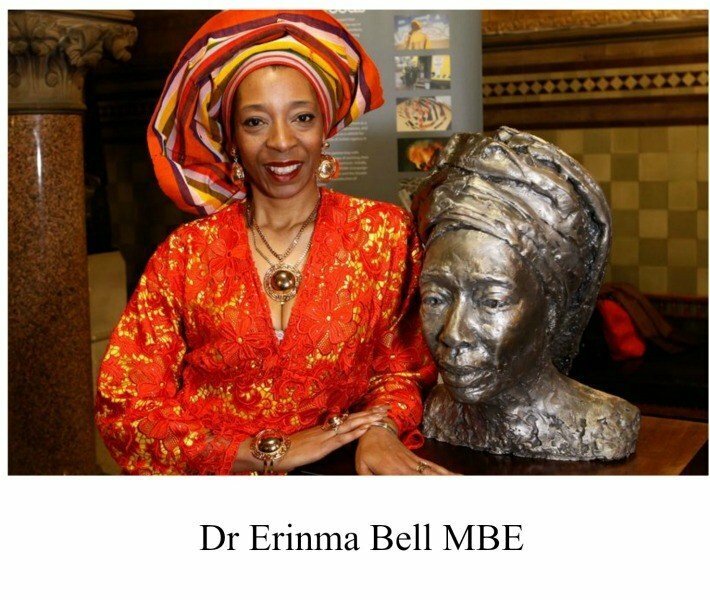 Erinma is also the first woman for 150 years to have a statue of herself in Manchester town hall. A sculpture was made from 50 melted and deactivated firearms that had been seized by greater manchester police. Sculpted by artist Karen lyons to honour Erinma’s work against gun crime. 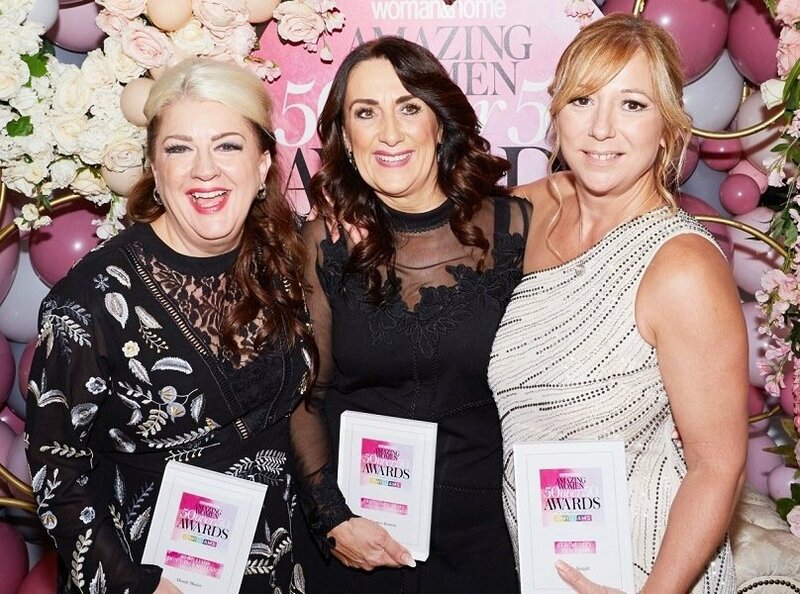 Don’t forget these women achieved all this whilst holding down jobs and bringing up children I call that amazing dont you! 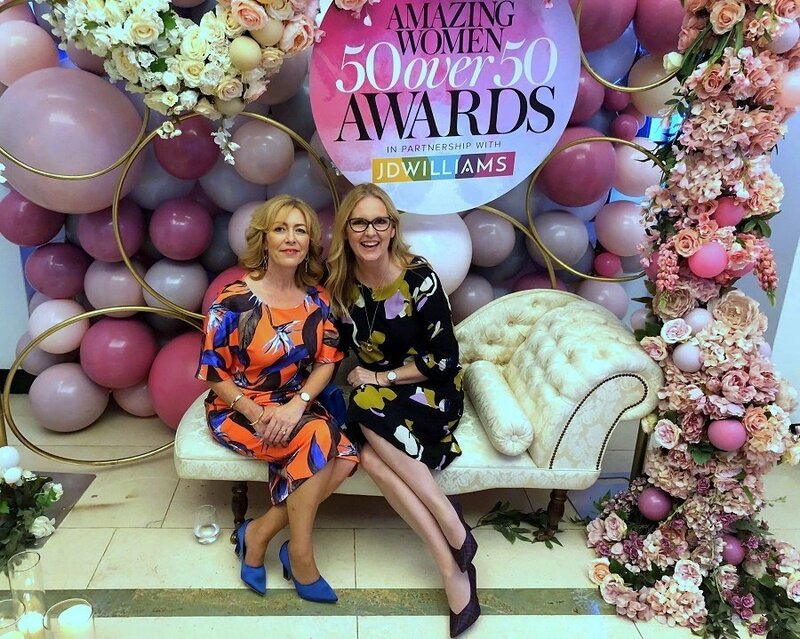 Thank you to woman and Home Magazine and JD Williams for a superb day and an even more fabulous evening! 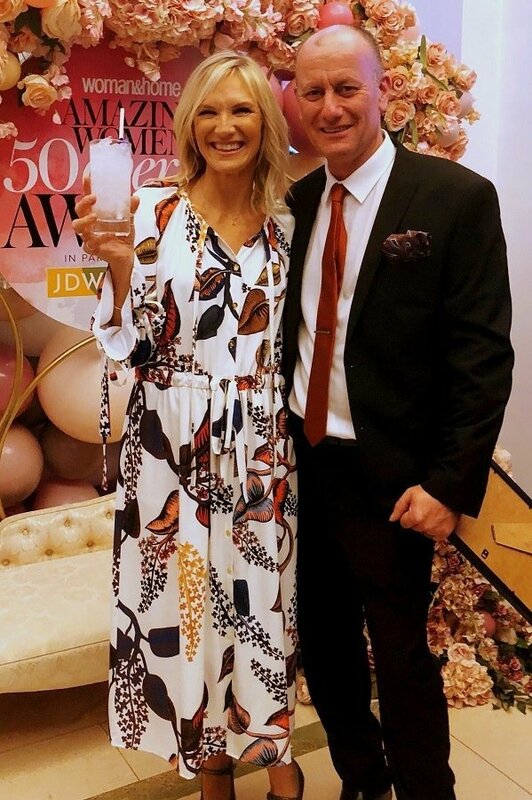 My dress was gifted by J D Williams. 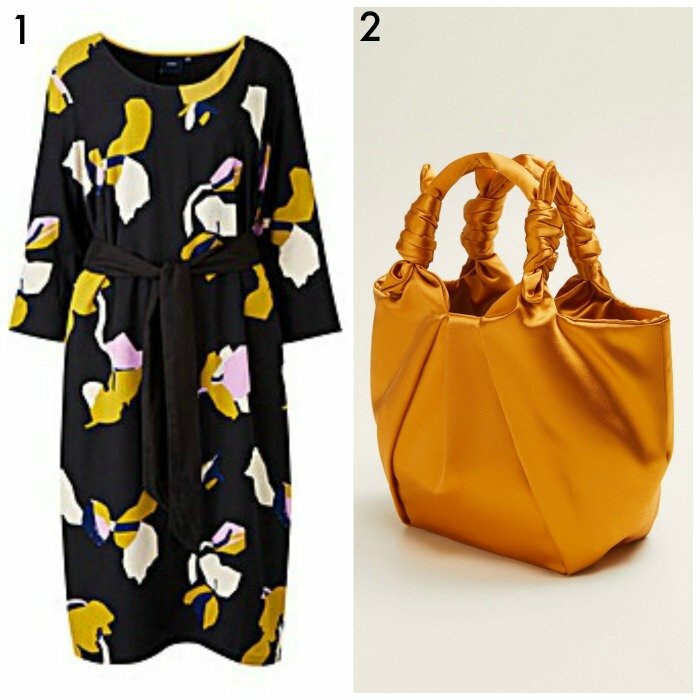 October Posts you may have missed? Wed, 24th: 001 London Skincare Cryopress Alpha Flash Facial it actually works! Previous Post 001 London Skincare Cryopress Alpha Flash Facial it actually works! Sorry you didn’t win. But you looked amazing & sounds like you & your hubby & Jo Whiley had a great time. 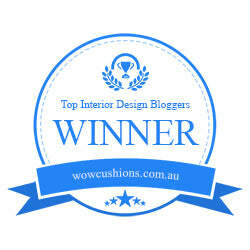 ?I came across your blog because of the mention in Woman & Home & I’m sure it brought you many more followers. Shirley thank you so much, we did have a wonderful evening and I met some fabulous women too and that was the best thing ever! 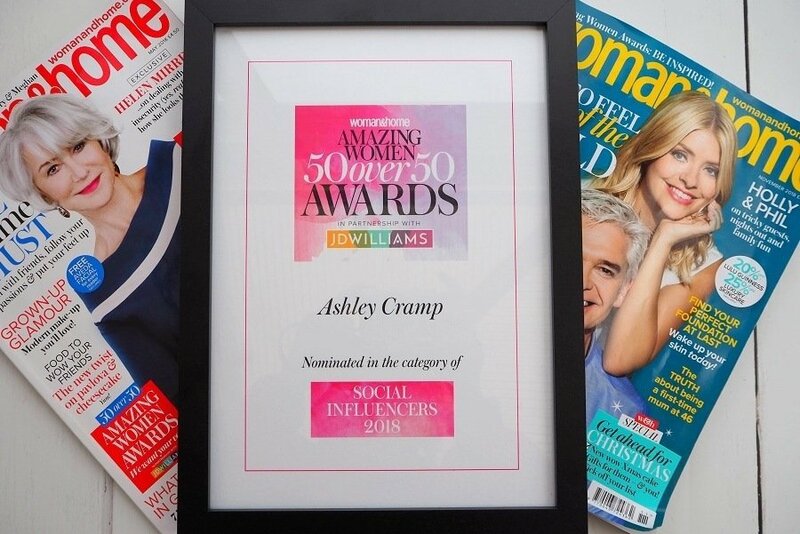 I think this campaign is amazing, Ashley .. flying the flag for midlife!! It’s wonderful. You are in some spectacular company there with those other outstanding women. Sharon thanks sooo much it was a night to remember! What a fabulous event. I can imagine it was unbelievable and a fantastic experience! You and Laurie look so very and stylish!